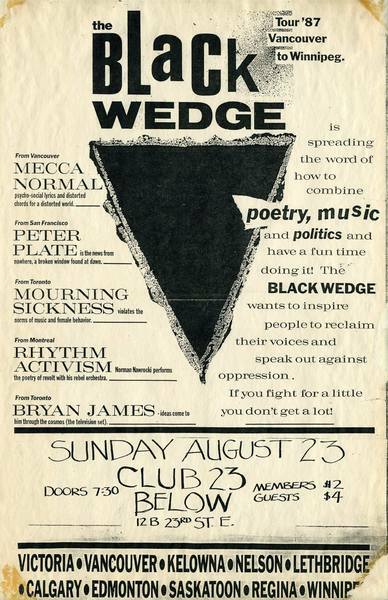 A poster advertising the Saskatoon stop on the Black Wedge Tour. 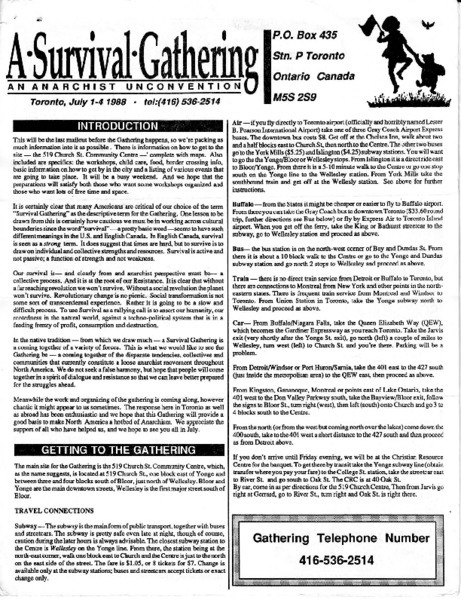 CIUT presents the First Annual Festival of Architecture and Agriculture! 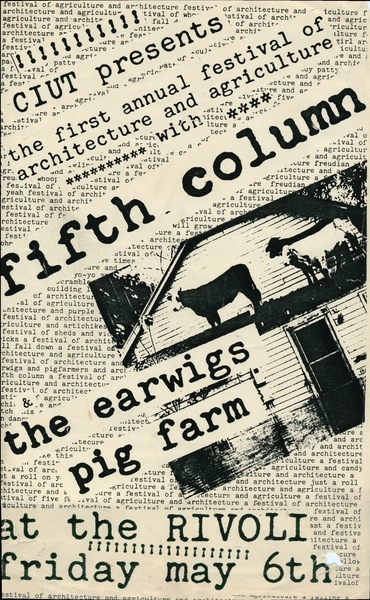 Poster for a concert at The Rivoli on Queen St W, featuring Fifth Column, The Earwigs, and Pig Farm as presented by CIUT. 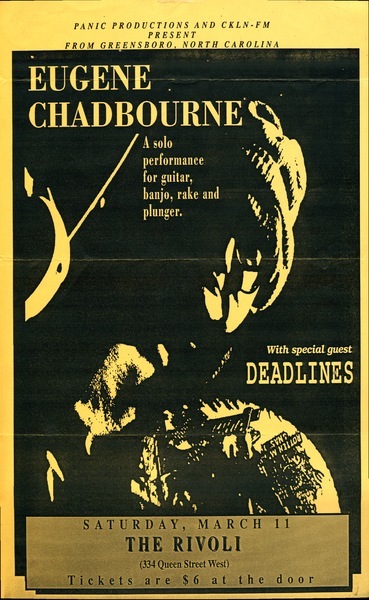 Poster promotes a concert at The Rivoli for Eugene Chadbourne with Deadlines as the opening band. 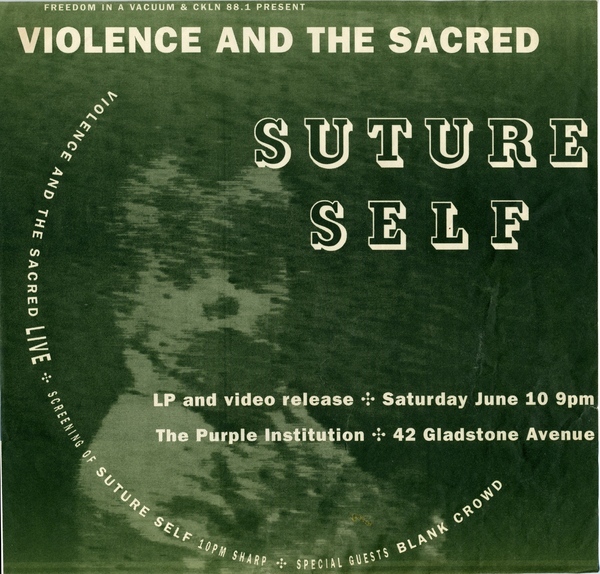 Poster for Violence and the Sacred's record and video release concert for "SUTURE SELF." 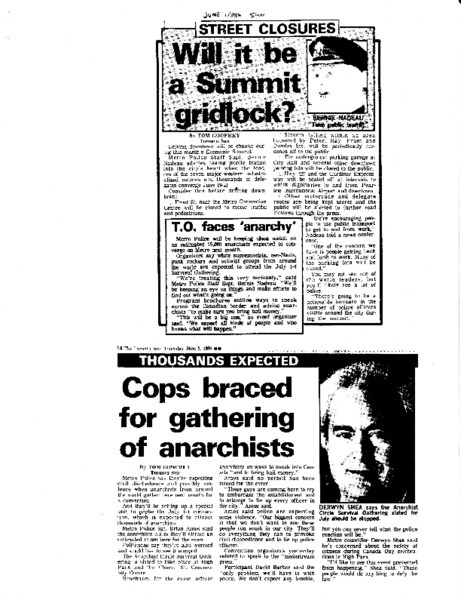 Collection of newspaper articles and other documents that were scanned and assembled into scrapbook. 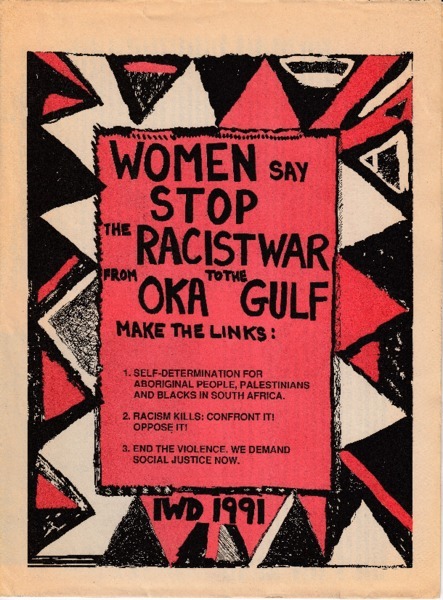 Poster for International Women's Day, 1991, in Toronto. 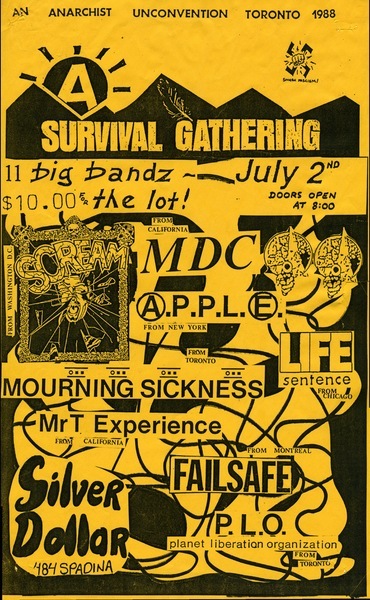 An information pamphlet for people attending A Survival Gathering distributed by the Toronto Network mailing list. 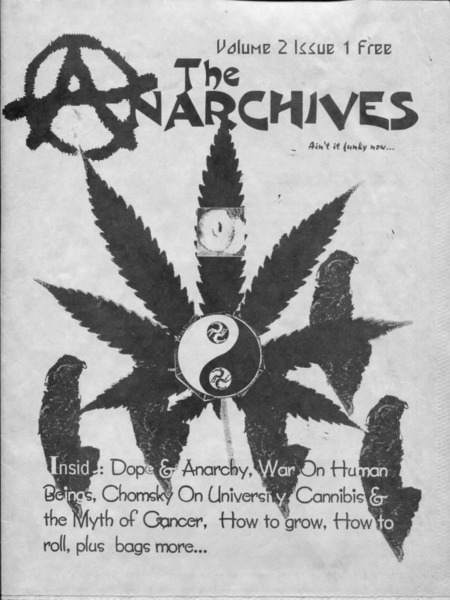 Issue of a newsletter produced by the Anarchy Association.